At the end of 2009, film lovers compiled their lists of favorites from the new century’s first decade. 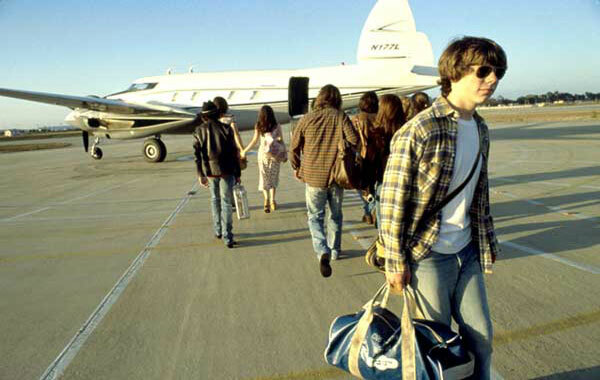 My rankings had a clear pick at the top of the list – Cameron Crowe’s Almost Famous. I couldn’t think of another movie that connected with me personally and expressed what it’s like to be a fan. Although I haven’t kept up with as many new bands lately, my love of music isn’t that far behind movies. This film isn’t just about music, anyway. It transcends that topic and shows the type of bond that grows when you connect with another person about a specific passion. Friendships are often built on the love of a movie, band, or sport and grow from that point. Crowe’s films wear their hearts on their sleeves, and it sometimes becomes too much. That isn’t the case with Almost Famous, where he strikes just the right notes because it connects to him so personally. Crowe’s probably never considered buying a zoo, but he’s definitely been a teenager who wrote about music. For this list, I watched the “bootleg cut” for the first time. I’ll provide a few reactions to that version beneath my rankings. These choices likely come from the theatrical cut, but it’s possible a deleted scene is referenced. Narrowing all the great moments into 10 choices was a challenge. Crowe packs a lot of great interludes into the story of William Miller (Patrick Fugit) experiencing the highs and lows of the music world. Some work better than others, yet they all have a personal stamp of a guy who’s experienced many of these in his younger life. Ranking these was nearly impossible, so the differences are very slim. The story begins with William as an 11-year-old who’s skipped two grades and is out of place among the older kids. His sister Anita (Zooey Deschanel) rejects their mom’s (Frances McDormand) controlling ways and bolts. First, she leaves her brother a gift that will change his life. Her incredible record collection begins William's quick transition into the 15-year-old we see during the rest of the movie. We still see the sheltered guy who’s alienated from his classmates, but now he has a passion that drives everything that he does. 9. I am a golden god! Russell Hammond (Billy Crudup) is the cool guitarist with mystique and the star of the band Stillwater. When the conflicts within the group become too much, he takes William to find some “real people”. The party in Kansas is one of the funniest moments in the movie. Russell’s self-destruction leads him to a daring leap off a roof and into the pool. Before the big move, he has a few declarations to make including the big line. It’s fun to have William become the “adult” in the pair and try to keep Russell out of trouble. The star-struck teens can’t believe their good fortune, and Russell lives up to the rock star persona. Phillip Seymour Hoffman owns every scene as Lester Bangs; it’s no surprise that it topped many lists of his favorite characters after his recent death. 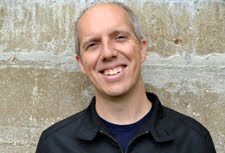 Bangs' appearance reveals immediately that he’s an oddball who loves rock ‘n’ roll. He can barely contain himself with all the records at a local radio station. He puts the needle on “Search and Destroy” from Iggy Pop and the Stooges (is 10 a.m. too early?) and performs a very silly dance in the studio. Bangs is feeling the music, no matter how goofy it looks. William’s first assignment sends him to an arena show to write about Black Sabbath. Of course, it isn’t easy to get backstage. He tries several ways to gain access and has no luck. When the opening act Stillwater arrives, William sees his opportunity. All it takes is a little flattery to get on their good side. Beyond being a fun scene, it shows that William can think on the fly and push the right buttons. The reaction of singer Jeff Bebe (Jason Lee) to the praise is priceless. Finally, someone recognizes his greatness! Kate Hudson announced herself as a rising star in Almost Famous with her role as the “Band-Aid” Penny Lane. She shined as a character that could own the room and stand out from the crowd. When she arrives at the Hyatt in Hollywood, Penny tells William she wants to avoid the spotlight. While that’s partially true, she also loves it. It shows how she’s playing the character of “Penny Lane” but thrives on it. Her pronouncements while stepping into the hotel room are designed to get everyone’s attention. Russell is her primary target, but it wouldn’t take that much bombast to get his attention. She wants the spotlight. 5. I’m going to Morocco! Wanna come? Ask me again. William falls for Penny right away; he’s never met anyone like her. At the end of the night in San Diego, she reveals her plan to escape to Morocco for a year. When Penny asks him to go along, his “ask me again” reply is just perfect. This young guy has just experienced the greatest night of his life, and he wants to savor it for just another minute. The girl of his dreams just asked him an inexplicable question, and he can’t help but want to hear it one more time. Crowe is a master at showing this type of scene. It sounds like too much on the page but works brilliantly because we feel the emotions on the screen. William’s greatest night includes time backstage where he chats with the band, meets the roadies, and feels like he’s part of something amazing. When Stillwater’s ready to take the stage, he follows along and joins them in the circle to get pumped up for it. The joyous guys let him join the fun; how can he not love it? He steps to the side with Penny while they blast into their single “Fever Dog”, and nothing will ever match this moment. It’s like seeing your favorite band for the first time; will they ever be that amazing? It’s possible that other times will match this one, but they’ll be something special. Things go sour within the band and with William, and he finally returns home to his bed and a semblance of a normal life. Will he recover from getting betrayed by the guys he admired, especially Russell? Penny’s intervention brings them together, and William and Russell talk on equal footing for the first time. They’re no longer the rocker and the journalist and are just two guys who loved a girl. William does finally get to interview Russell, and his classic response to “What do you love about music?” is pitch perfect. To begin with, everything. After a band fight and his party meltdown, Russell is ready to quit. There’s a huge rift in the group; can anything save it? All it takes is a rousing sing along to Elton John. 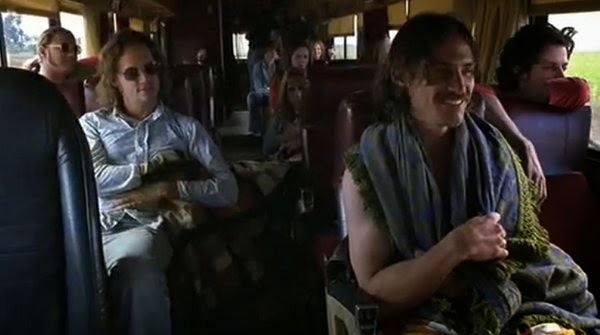 This bus ride is one of my favorite sequences in any movie. Once the piano opening begins, I’ve got goose bumps and am ready to belt out the chorus right with the guys. Blue jean baby, L.A. lady, seamstress for the band… and so forth. Crowe is a master at using the right songs at the perfect time, and this is the best example. He recognizes the power of music to bring people together and heal wounds, and this scene makes his case so well. It’s just magical. Checking out the bootleg cut was interesting because it felt the same, yet less focused. That isn’t a criticism, however. The scenes had more room to breathe, and spending more time with these characters was a nice bonus. Hoffman gets more chances to shine as Lester Bangs, including some ore great lines. There are a few scenes that seem out of place, especially William getting ridiculed in the shower when he’s 11. They add little and feel like they’re from a lesser movie, but there aren’t too many examples. The theatrical version does a better job telling the main story, but the bootleg cut fills in the background. First-time viewers should probably watch the shorter version and then more to the extended on. Regardless, Almost Famous remains one of my favorite movies. 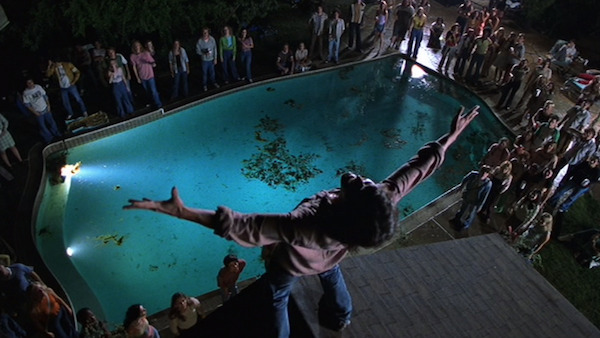 What are your favorite scenes from Almost Famous? Note: This post contains affiliate links. Making any purchase through those links supports this site. See full disclosure. Those are great scenes. #10 is probably my favorite. Other scenes I love is Russell talking to William's mom and getting freaked out by her. I also love any scene with Hoffman as Lester Bangs. Another of my favorite scene is where William found out he just lost his virginity. I haven't seen the Bootleg Cut as it's one of those extended cuts I'm dying to see if it's as good as the theatrical cut. I think you'd enjoy the bootleg cut. It's about 40 minutes longer, and a lot of the time are just extended scenes and a bit more time with the supporting characters. There are a few moments that seem out of place, but the rest fits well into the movie. The scenes you mentioned are also great. There were too many good choices! I'm right there with you in the way this movie connected with me. Fun fact: That "Ask me again" scene wasn't in the script. That's actually Patrick the actor asking Kate to say the line again, because he didn't think he nailed the response the first time. Cameron liked the honesty of the moment so much, he left it in the film. I'm a Cameron Crowe fan from way back. In the late 70s, when he was still writing for Rolling Stone, he was a guest speaker at a writing conference at Miami University. I was his student chaperone (he was only a few years older than I), and I recall wandering the streets of Oxford, Ohio, six-pack in hand, listening to his rock-and-roll stories and hilarious Richard Dreyfuss impressions -- he had just finished interviewing Dreyfuss for a cover story about the upcoming release of "Close Encounters." It remains one of my fondest memories. I didn't realize that scene wasn't in the script. It says a lot about Crowe that he recognized how great it was and included it. It makes the entire scene. I think that Crowe would have been an excellent rock journalist if he'd stuck with it. I'm glad that he didn't since it led to some amazing films. He hope that he has another great one in him. What about the scene on the airplane when they think they're going down?? That's my favorite scene for sure. I love the whole mood of that scene and how they unload onto each other getting more serious until the comedic relief kicks in when everything is going to be okay. Almost Famous is definitely a movie that I really like but don't give as much rewatch time to as I should. That's a really fun scene, but it falls a little short of being a favorite for me. I think there are just too many good possibilities, and the airplane device is a little much. It had been too long since I'd seen Almost Famous, and I'd forgotten a few great parts. You should definitely give it another watch soon. Great stuff, here. It's been far too long since I've seen this. I've never seen the Bootleg Cut. Good work, Dan. It's worth seeing if you're a fan, especially since it's cheap on Blu-ray now. The airplane scene has always struck me as a little forced, mainly the "I'm gay!" moment. I just don't think a rock drummer in the late 70s, in a panic and among his bandmates, would phrase his coming-out in quite that way. It's always felt a little too politically correct for me. But that's the only false note in the movie, in my opinion. It didn't bother me too much, but I can see your point about the whole scene. I think part of it was having such a long scene at the end of a movie that's nearly three hours. It's still fun but not one of my favorite moments. The airplane scene was actually true to life - Cameron Crowe was on a couple similar plane rides where people confessed super embarrassing things on what they thought was their deathbed! That's interesting. It doesn't surprise me, given how much of Crowe's own life is in this movie. Glad to hear it! It had been a while for me too. Thanks for stopping by! All scenes are good, i also like the number 10 the most. Glad to hear it. That's a great scene! Love this list. What the hell IS that dance that Hoffman breaks into? I love it. I also agree with your top 2 picks. That Tiny Dancer scene will outlive us all, and those chats with Lester were just perfect. Alex, I've seen that Tiny Dancer scene a bunch of times, and it never gets old. I love it. That Hoffman dance is something else. It's like he takes one arm and throws it over his head and does a little hop. I can't imagine that wasn't improvised. Thanks for stopping by as always! Yes! I'm pretty sure Almost Famous would top my "best of the decade" list as well. What a flawless film. I agree with "Tiny Dancer" being #1 -- just thinking about it brings a huge smile to my face. I haven't seen the "bootleg cut", but I have it sitting at home. I think I'm going to have to make some time to finally see the extended version this week. I've had the Bootleg Cut on Blu-ray since the holidays last year, and I didn't watch it until I was doing this post. It's definitely worth the time. Beautiful post! Almost Famous is my favourite film of all time and I can never get enough of it. As for my favourite scene, its between Tiny Dancer and the scene with Penny dancing in the hall with the roses. Penny Lane's entrance too! She's one of my all time favourite female characters. It's awesome to hear from another fan that puts Almost Famous so high on the list. That scene with Penny dancing in the hall is also a great one. There were too many to mention, even with 10 picks! Thanks for stopping by.